Archive by category "Growing Your Business"
In our current technologically minded society, it can seem like direct mail marketing is now an outdated practice. However, traditional advertising strategies such as direct mail and advertising is turning into one of the utmost effective techniques. Possessing direct mail therefore for your promotion activities would be a benefit to your company. Whether it's direct mail, door-hangers, newspaper inserts, flyers in local businesses or some other technique of distribution, it is critical to find out the best method to reach the biggest audience. A direct mailing service is thought to be among the most effective methods to spread your message with minimal effort. 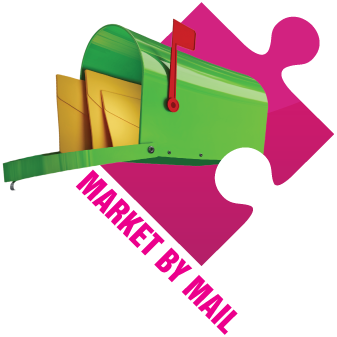 Direct mail marketing and advertising is an inexpensive yet strong promoting tool. Postcards and brochures are an ideal solution to create interests in specific products or services that people want and gives you the ability to tell your story. Branding - A very significant role direct mail plays first and foremost is branding. It allows you to convey your story to your customer and prospects without interruption. Pin-Point Accuracy - You have the ability to pinpoint a specific group of people that may be interested in your products and services. Mailing lists can be based on demographic details and factors that are tailored for your business. A Tangible Touch - Getting you company in the hands of a potential customer is wise decision. It puts you one step ahead of your competitors by giving you an opportunity to make a personal connection and establish long lasting relationships. Direct Mail has been in the marketing industry for many years now. Possessing direct mail therefore for your promotion activities would be a benefit to your company. Direct mail advertising companies can supply you with resources and suggestions to think of a strategic advertising and marketing plan and make it work for you. Choose the Right Printing and Mailing Service - Getting premium quality printing and mailing service is the most effective and cost efficient method than doing it on your own. A direct mail printing company can help you navigate through the different processes that make a successful campaign. It is important to find a company that can help you with your project from start to finish. This way your project is not delayed and helps to reduce extra expenses. A good choice is selecting a full service marketing firm, that not only provides direct mailing services, but can help with other marketing strategies to increase your overall results. See if direct mail is the best fit for your business. SCF Graphics is a full service marketing firm that helps small businesses grow. We provide developing data-driven direct mail and marketing campaigns for businesses with targeted accuracy from start to finish. We work with existing lists or work to get relevant targeted demographics to get you greater results. Many small businesses shy away from direct marketing because they don’t want to be considered “junk mail”. However many people keep mail that is important to them. A coupon or offer that is targeted to the right audience is not junk, it’s gold. Despite rising postage costs, it continues to be a top method that marketers utilized to get in front of a customer. Here are a few ways to save time, energy, and avoid the “B” pile. The Right Audience is Key- Choosing the proper demographics of your business is key to being relevant. Mailing services provide targeted lists based on specific demographics such as age, income, household size and other factors that can help you pinpoint potential clients. Think of what kind of prospect may need your services. A good way to know is to see what prospects your competitors are targeting. Another good method is to look at your current customer base. You can find new prospects by recognizing what kind of customers are already attracted to your services. You may also target your existing customers with new products and services you offer. This is a great way to connect with your customers. Content Is Important- Since direct mail helps to build your brand, it is important to convey the right story. Make sure your content is aligned with your company vision and mission. Your message should concentrate on the advantages to the recipient. Be scrupulously honest. A good copy write goes a long way. Choosing the Right Printing and Mailing Service- Direct mail advertising companies can supply you with resources and suggestions to think of a strategic advertising and marketing plan and make it work for you. Getting premium quality printing and mailing service is the most effective and cost efficient method than doing it on your own. A direct mail printing company can help you navigate through the different processes that make a successful campaign. It is important to find a company that can help you with your project from start to finish. This way your project is not delayed and helps to reduce extra expenses. A good choice is selecting a full service marketing firm, that not only provides direct mailing services, but can help with other marketing strategies to increase your overall results. Direct Mail doesn't have to cost a fortune. By comparison, true direct mail permits you to craft your very own stand-alone offer and target more specifically.